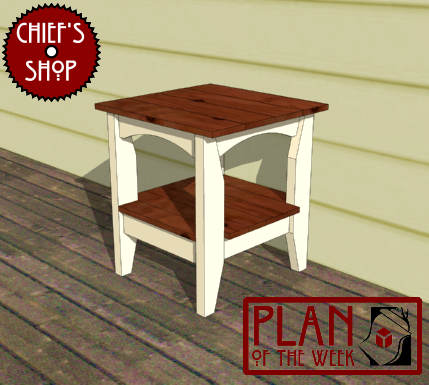 The Chief’s Shop Front Porch Side Table would make a nice place to set a drink while you lounge on the front porch, or it could be used for placing a potted plant near the front door. Lumber required includes a 2x4, 1x6, a couple of 1x4s, and a 1x2. Overall dimensions: 22 5/8 inches wide x 22 inches deep x 24 3/4 inches high.